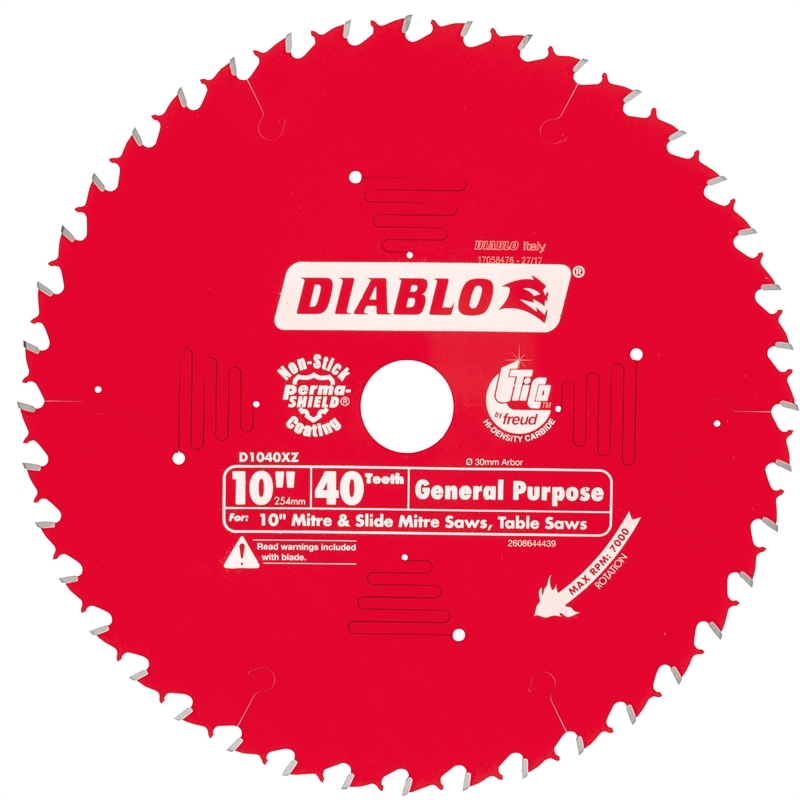 Diablo's general purpose blade is ideal for cutting oak, pine, plywood, pressure treated lumber and beams. 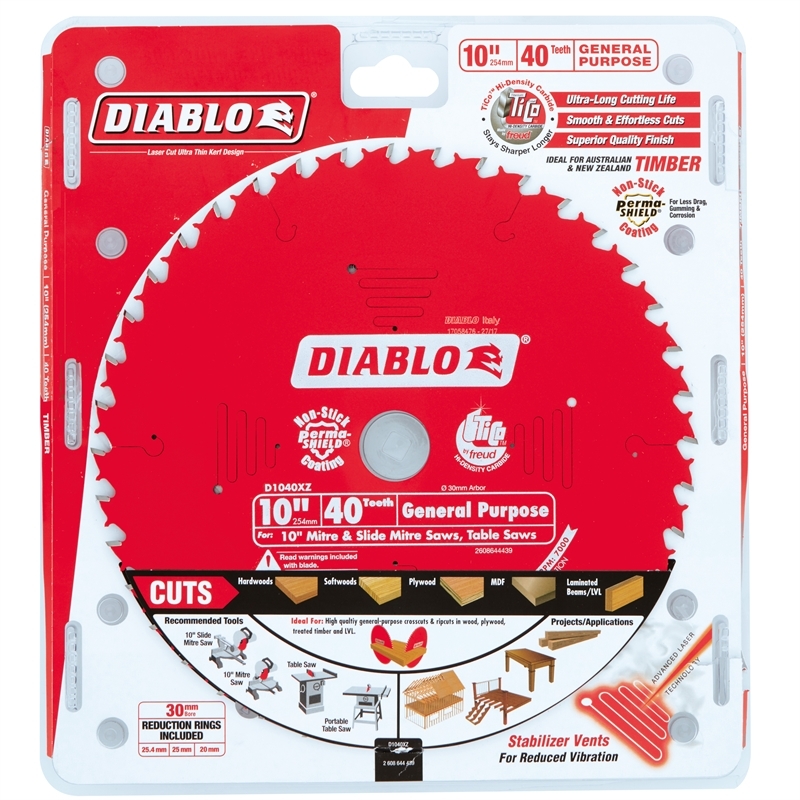 An excellent choice for table and mitre saws, Diablo's blade leaves a smooth cut in a variety of applications, reducing the need to change blades between tasks. 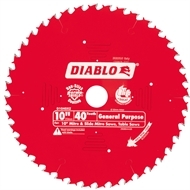 Use it for ripcuts with a smoother finish than dedicated ripping blades, or make quality crosscuts in solid wood or plywood. 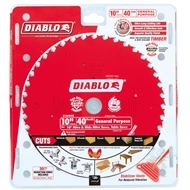 Great for both sliding and “chop” style mitre saws as well as table saws. 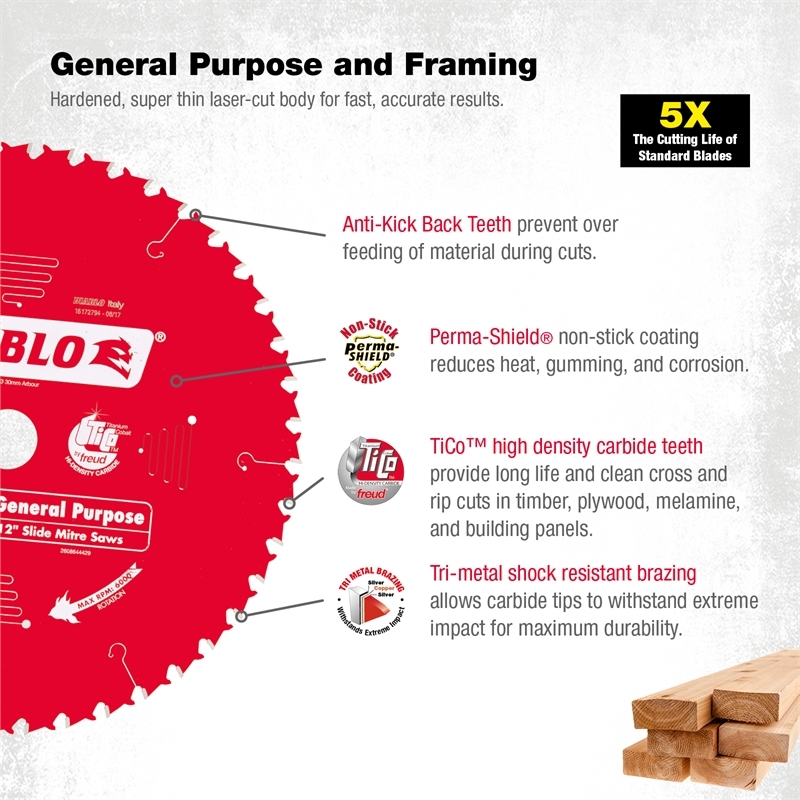 High quality general-purpose crosscuts and ripcuts in wood, plywood, and LVL. 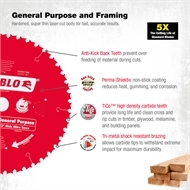 Excellent for framing and decking.